RANDOLPH — Police Chief William Pace announces that the Randolph Police Department will be participating in No-Shave November to raise money for servicemen and women, veterans and their families. For 30 days, Randolph police officers will be permitted to grow beards and goatees in exchange for donating $100 to Home Base, a partnership of the Red Sox Foundation and Massachusetts General Hospital that works to help service members, veterans and their families heal from invisible wounds — like traumatic brain injuries and post-traumatic stress disorder — regardless of their financial means or discharge status. Home Base reported that in 2016, 500 first responders across 21 cities in Massachusetts raised more than $50,000 through the No-Shave November campaign. Residents who would like to support Home Base can do so by making a donation at homebase.org. A ceremonial shave off will occur on Nov. 30, and the total donations from officers and community members will be sent to Home Base. Randolph Police Officers and Firefighters Become First Certified Ceremonial Guardsmen in the U.S.
RANDOLPH — Police Chief William Pace and Fire Chief Richard Donovan are pleased to announce that members of the police and fire honor guards completed training to become the first certified ceremonial guardsmen in the U.S.
From Sept. 25-29, Randolph police officers and firefighters attended a course with John Marshall, known as the “DrillMaster,” to learn the proper techniques of ceremonial drill. 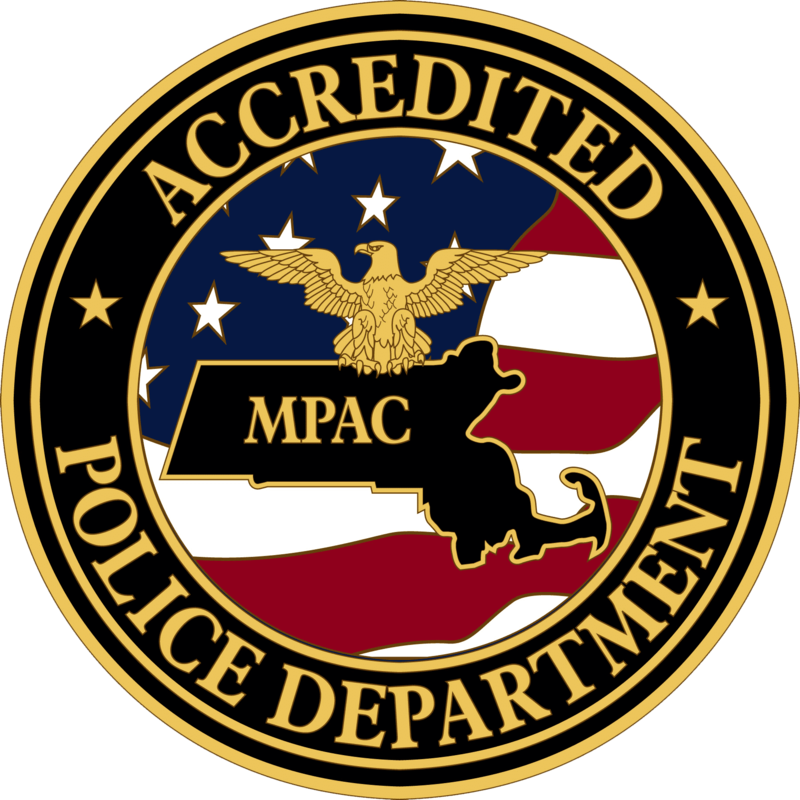 The training took place at the Municipal Police Training Committee’s headquarters in Randolph. Randolph Police: Commander John Hamelburg, Commander David Avery, Lt. Anthony Marag, Detective Sgt. Christine Morse, Detective Sgt. Jason Fisher, Detective Christopher Jones, Detective Richard Brewer, Officer Billy Lok, Officer Steven Rosa, Officer Kevin Gilbert, Officer Matthew Rodman and Officer Craig Staffier. Randolph Fire: Capt. Paul Frew, Lt.Timothy Sproules, Firefighter Patrick Sullivan, Firefighter Anthony Phinney, Firefighter Peter Kourafas, Firefighter Kristopher Kronillis, Firefighter Joseph Gordon, Firefighter Robert Shiavone Jr. and Firefighter Stephen Connors Jr.
Marshall is a 20-year veteran of the U.S. Air Force who spent 14 years with several honor guard units at bases around the world. He created the first responder ceremonial guardsman training and certification program this year in an effort to establish standards for the first responder honor guard units around the country. During the course, the trainees learned firing party procedures for firing the Three Volley Salute, how to carry a casket and how to properly move the casket in and out of a vehicle. They also learned proper techniques for folding the American flag that is placed on the casket, the proper methods for presenting and posting the colors, and the ways to use rifles, shotguns, handguns, (police) and axes (fire) for the different ceremonial elements. The Randolph honor guard members will serve during funerals, memorial services and events like the Fourth of July parade. Commander David Avery, Detective Michael Tuitt, Officer Casey L’Italien and Officer Billy Lok will attend the training during the first week of August in Henderson, North Carolina. Afterward, the four will conduct training annually for all Randolph Police Officers. Sponsored by the International Association of Chiefs of Police, the RITE Academy prioritizes the officer’s wellness and enhances community policing, both of which are vital to the success of modern law enforcement agencies. Additionally, officers with better communication skills are more equipped to de-escalate potentially dangerous situations when needed. The RITE Academy was co-founded in 2015 by Linda Webb and Randy Friedman and has received the International Association of Directors of Law Enforcement Standards and Training (IADLEST) national seal of approval, the highest standard of police training. RANDOLPH — Chief William Pace reports that while the Randolph Police Department was responding to a house party last night, a woman crashed her motor vehicle into a parked, unoccupied cruiser. The incidents resulted in the arrest of two men. On Saturday, June 17, at approximately 9 p.m., Randolph Police responded to a report of a disturbance on 894 North St., where a house party was taking place. Police had been called to the house multiple times earlier in the evening on reports of loud music and noise. While on scene at the house party, a 2007 Mercedes C280, traveling north on North Street, crashed into the rear driver’s side of a Randolph police cruiser parked on the street. The force of the crash caused the cruiser to launch forward into the back of another Randolph cruiser parked on the street. Both cruisers were parked on the east side of North Street and were unoccupied at the time. The Randolph Fire Department arrived on scene to evaluate the driver of the Mercedes, a 30-year-old Brockton woman. She was the sole occupant of the vehicle and was subsequently taken to an area hospital. While rendering aid to the Brockton woman, her boyfriend, LUIS RONALD BAEZ, AGE 21, OF BROCKTON, confronted Randolph Police and Fire in an aggressive manner, interfering with the fire department’s medical evaluation. Police then placed BAEZ under arrest. He was charged with Assault and Hindering a Firefighter. BAEZ was not in the Mercedes at the time of the crash and was also not at the party. He was booked at the Randolph Police Department and later released on bail. BAEZ is scheduled to be arraigned at Quincy District Court on Monday. No injuries to police officers or firefighters were reported. The first cruiser that was hit sustained heavy rear-end damage and was towed from the scene. The second cruiser sustained significant rear-end damage, and the Mercedes sustained heavy front-end damage and was towed from the scene. Randolph Police also placed the homeowner of 894 North St., MANUEL ANDRADE JR., AGE 37, under arrest. He was charged with being a Keeper of a Disorderly House. ANDRADE was booked at the Randolph Police Department and later released on bail. He is scheduled to be arraigned at Quincy District Court on Monday. During the incident, the Braintree and Holbrook Police Departments, along with the Massachusetts State Police, responded to the scene to assist. RANDOLPH — Chief William Pace reports that the Randolph Police Department, working with the South Shore Drug Task Force, the Drug Enforcement Agency and Norfolk District Attorney Michael W. Morrissey, arrested 15 individuals following a large scale drug investigation that led to the confiscation of heroin, cocaine, cash, jewelry and several firearms. In the early hours of Tuesday, March 21, more than 200 officers from more than 20 local and federal law enforcement agencies spread out across the South Shore and into Boston, searching 18 residences. The raids were the result of a six-month investigation in Norfolk, Plymouth and Suffolk counties, initiated by the Randolph Police Department. Eight of the homes in the raid were in Randolph. The Randolph Police Department was the lead agency, working extensively with the South Shore Drug Task Force (comprised of officers from Randolph, Braintree, Quincy, Weymouth, Milton and Holbrook), the DEA and the Norfolk District Attorney’s Office. The raids were executed without incident. Homes in Randolph included two on Avalon Drive (Avalon Bay), two in Chestnut West (Rosemont Square), one on Birch Drive, one on West Street, one on Green Street and one on Fitch Terrace. As a result of the raids, more than 10,000 pills, including oxycodone and fentanyl, heroin and other drugs, cash, $100,000 in jewelry and 10 guns — seven of which were found in Randolph — were recovered. FRENCH, who police believe led the drug enterprise at the center of the investigation, was found to be living a lavish lifestyle, allegedly off of the profits from the sales of heroin and other deadly drugs. He was found to be renting a Ferrari for $1,500 a day, taking frequent trips to Miami, and spending thousands at nightclubs in Miami and Boston. ROMEO ANDRADE, AGE 35, OF WEST BRIDGEWATER is charged with Conspiracy to Violate the Drug Law. ALEX FRENCH, AGE 31, OF BROCKTON is charged with Conspiracy to Violate the Drug Law. JEFFREY JOSEPH, AGE 27, OF BROCKTON is charged with Conspiracy to Violate the Drug Law. MICHAEL BERUBE, AGE 33, OF CARVER is charged with Conspiracy to Violate the Drug Law. TYRONE THOMPSON, AGE 42, OF EAST BRIDGEWATER is charged with Conspiracy to Violate the Drug Law. JEFFREY GRAHAM, AGE 35, OF QUINCY is charged with Conspiracy to Violate the Drug Law. FELIX VALDES, AGE 46, OF MILTON is charged with Conspiracy to Violate the Drug Law. All suspects were arraigned at Quincy District Court.